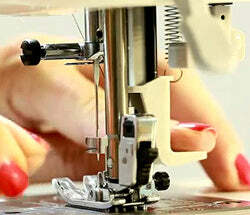 Juki Excite HZL-G110 has 180 stitch patterns, professional quality buttonholes and 1 alphabet character set. Juki Excite HZL-G110 Computerized Sewing and Quilting. Get Excited about sewing again with Juki Excite HZL-G110. This delightful machine offers computerized sewing with 180 stitch patterns, including professional quality buttonholes and 1 alphabet character set. The G110 also has an automatic needle threader, drop feed, and Bright White, no heat, LED lighting. 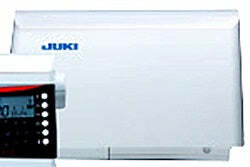 Juki Excite HZL-G110 Key Features. 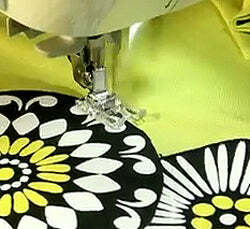 Selecting the right pattern is easy on the G-110. 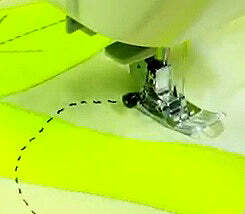 Select the Menu, use the arrow keys to select the pattern number and your off and sewing in nothing flat! Need to program needle position, combine patterns and more - no problem. It's all right at your fingertips. Buttonholes made simple! The Juki G-110 has 8 perfectly balanced and high quality buttonhole patterns to choose from. 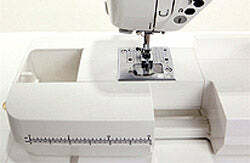 Just select the desired pattern, snap on the buttonhole foot and lower the buttonhole foot sensor and your ready to create perfect buttonholes for any fabric. 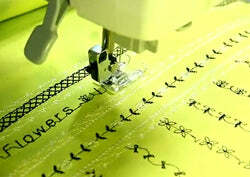 Combine decorative stitches or lettering into pattern sequences and save them to the machine memory. The G-110 allows you to combine up to 70 patterns. 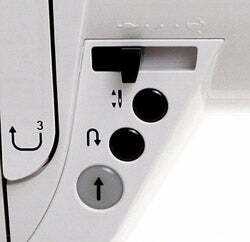 Stitch them once, or stitch them over and over with the touch of a button. Sashiko - Hand Look Quilting. The Juki Tension system handles invisible thread with ease so sashiko - hand look quilt stitches are formed perfectly every time. No tangles, no thread breaks, just beautifully formed stitches every time. Perfect Needle and Stitch Placement. The G-110 has 37 variable needle positions which allow you to place the needle any where you desire. It also has a feature that allows you to taper zigzag stitching to the center for perfect applique, decorative sewing and more! Thanks to a 7-point surgical steel feed dog system, the G-110 can handle the heaviest fabrics with ease and the sheerest fabrics without puckering. The industrial style box-feed system means that heavy or light fabrics feed evenly and smoothly. Sew it up fast or slow it down for more detail. The G-110 can sew as fast as 900 spm or as slow as 90 spm. 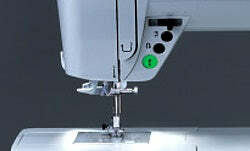 With the push of a button the needle can be moved up or down into your fabric. Use the 180 patterns on the G110 to create stylish décor items. It’s so easy – Just select the menu, select the pattern and start sewing. 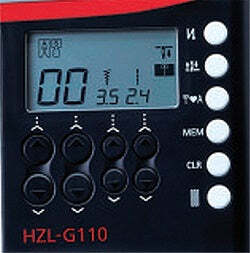 There are so many fun patterns on the HZL-G110 that you’ll only be limited by your imagination. 12mm Extra High Foot Lift. Temporary Memory of up to 70 patterns. Presser Foot Lift: 2-step lifter Max. 12mm. 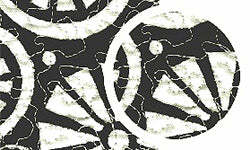 Dimensions (mm): 445(W) x 292(H) x 223(D). Weight (machine): 9.8kg (21.6 lb). 1 Alphabet including upper & lower case, numbers, punctuation and European characters.